$25 – $28 per tin. Available at the Takashimaya Chinese New Year Fair. Browse the Chinese New Year catalogue here. 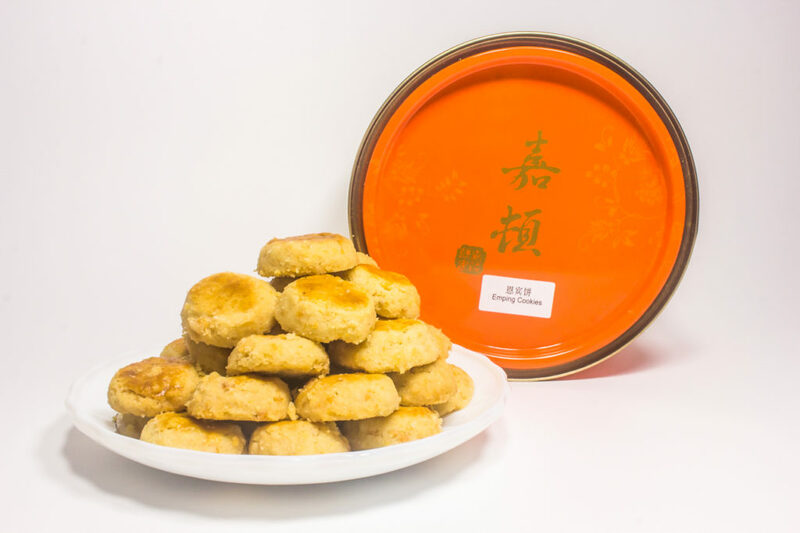 The Cookie Museum is known for its delectable bite-size cookies which come in an array of local flavours, such as Chilli Crab, Pandan Chiffon and Mao Shan Wang Durian. This festive season, they have introduced some new picks under their Christine gourmet cookie collection. However, these festive flavours – such as Lychee Kumquat or Salted Bacon with Vegan Floss – are only available in limited quantities at their Chinese New Year booths. We personally like the Lychee Kumquat cookie, which are light and buttery with chewy bits of lychee and hints of kumquat flavouring. 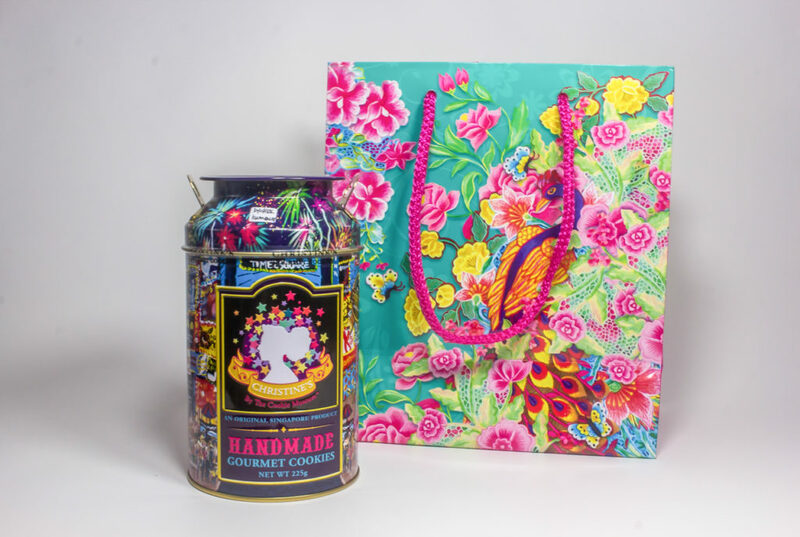 Plus, the cookies come in a lovely Peranakan-inspired tin, which make them the perfect gift for someone you need to impress (*cough* mother-in-law). $6.80 per pack. Available at the Takashimaya Chinese New Year Fair or online here. 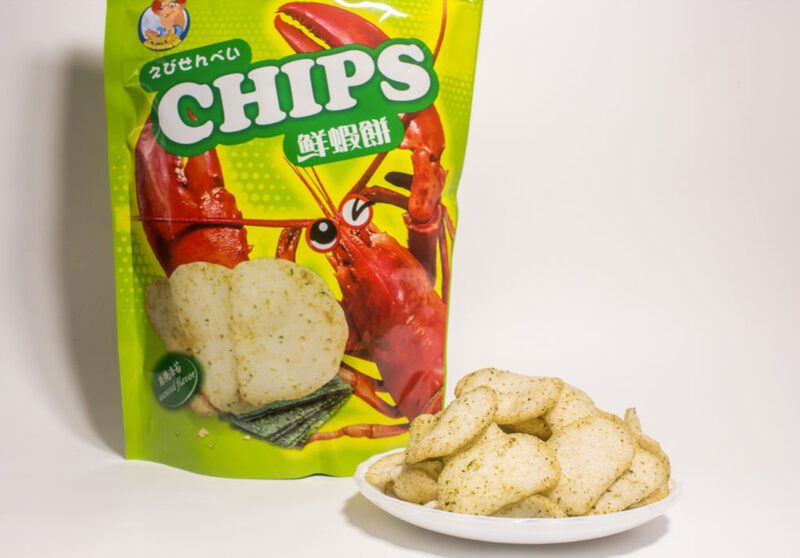 Lobster with Big Eyes is a line of premium prawn crackers by Taiwanese brand Trillion Emporium. And yes, the lobster on the package really does have big eyes (because why wouldn’t it?). These tasty prawn crackers are supposedly only readily available here during Chinese New Year, so take the chance to snap some up. What we like best about them? Unlike most prawn crackers, these are lighter but still crunchy – which gives you all the shiok-ness of prawn crackers, without the oily aftertaste. $9 per pack. Available at the Takashimaya Chinese New Year Fair or online here. 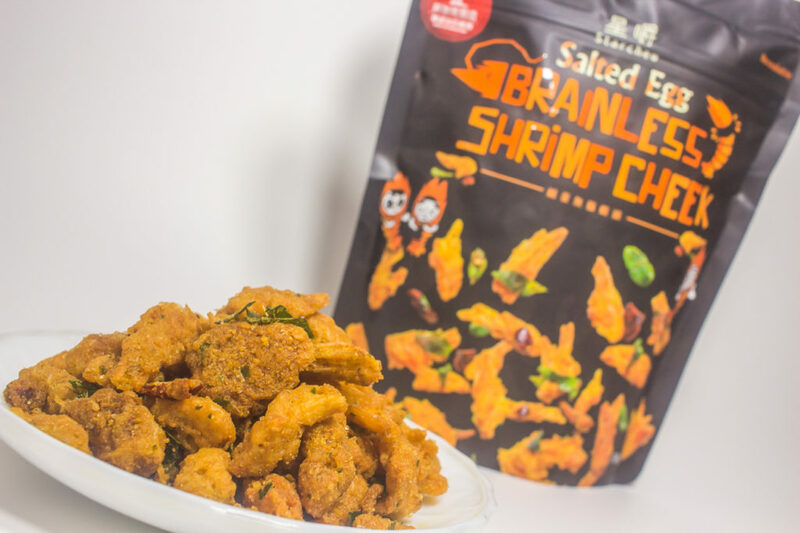 If you love prawn snacks, you’ll want to try these. We know, we know – Brainless Shrimp Cheek doesn’t sound very appealing does it? But trust us, these crunchy bits of goodness will satisfy any salted egg cravings you may have. Plus, these are made in Singapore so you can use the excuse of supporting local brands to justify your snacking no? $10 per pack. Available at various Chinese New Year fairs at Takashimaya, Jurong Point, Waterway Point and Tampines Mall. IRVINS, despite their lizard fiasco (Google it), still appears to be immensely popular around here. 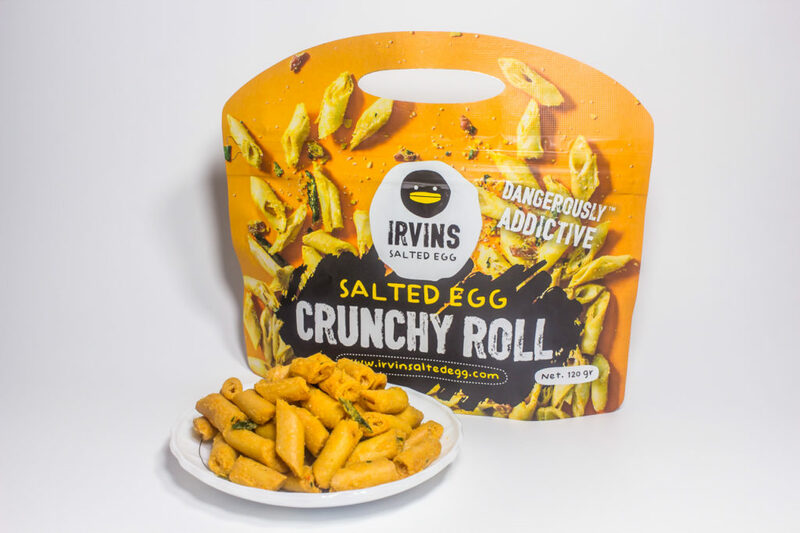 In fact, it looks like the Salted Egg craze is going nowhere this festive season, because IRVINS has launched their Salted Egg Crunchy Roll and Salted Egg Pineapple Tarts. $21.80 per tin. Available at the Takashimaya Chinese New Year Fair or at their store (95 Aljunied Crescent #01-505/507). Garden Pastry is offering an alternative flavor this festive season – Emping Cookies and crackers. Emping, which is a type of Indonesian cracker, has a slightly bitter flavour – which, if you ask us, is a nice change from the usual sweet or spicy Chinese New Year snacks. Garden Pastry has introduced their Emping-flavoured cookies and crackers for the festive season, and while Emping is not exactly the trendiest flavour around town, it does have a simple and comforting taste to it. Call us sentimental ol’ farts if you will, but these humble little cookies are still worth a spot on this list.